Steam has begun to offer localised prices to buyers in Europe. “The future is now” according to Valve, and indeed in the UK many prices have fallen below past RRP watersheds. But in the Eurozone, prices have rocketed. PopCap and Valve have announced a distribution deal. 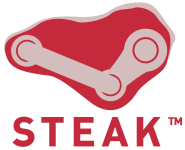 But who will be buying into Steam’s new casual library come September? Midway have brought Epic Games’ back catalogue from Atari, ahead of the launch of the ailing publisher’s GamersFirst budget range.